Looking for the ideal gift for the beer or ale drinker in your life? 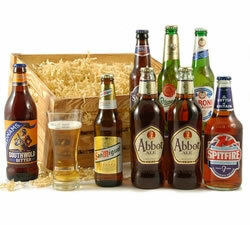 From continental beer to English ales our beer hampers are perfect for all occasions. Beer makes everything better. It's an ale old fact of life! Why not treat the beer drinker in your life to something special? 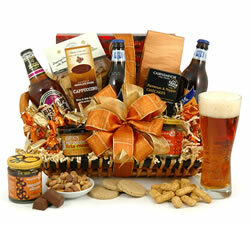 We've made sure to include biscuits, nuts and other treats - all designed to go wonderfully with the beer. 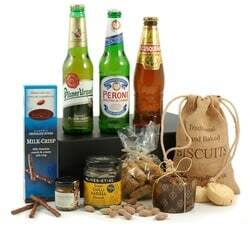 You can choose from our Continental Beer Basket, our Premium Beer Box, the popular English Ales Hamper or if you prefer to send beer and only beer then the Crate of Beer is ideal for you. 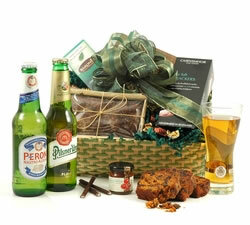 Our winning range of beer hampers are perfect for a friend, loved one, co-worker or your favourite yeasty companion. Beautifully presented and hand-packaged, we'll help you to impress!